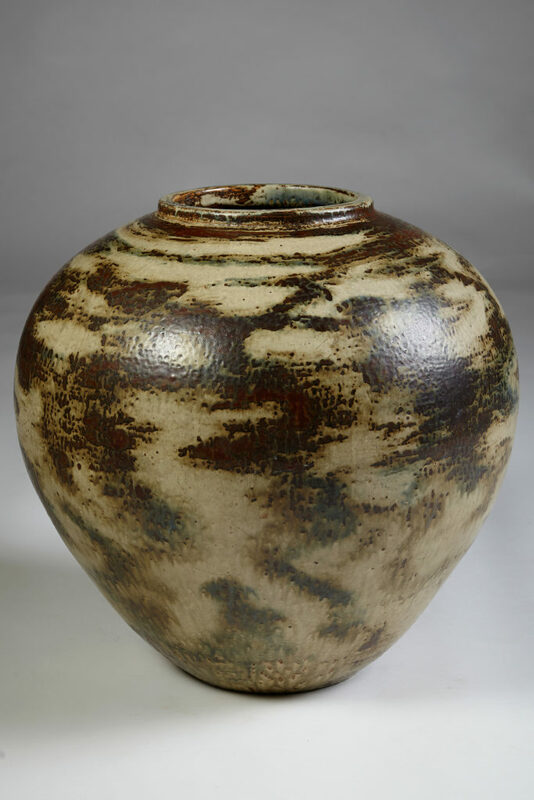 Axel Salto was born in Copenhagen in 1889 and is known today as one of the finest masters of 20th century ceramic art. After studying at the Royal Danish Academy of Fine Arts and commencing an initial career in painting, the artist soon became intrigued by modernism and a progressive aesthetic. He visited Paris, mingled with Picasso and Matisse, and went on to publish the journal Klingen (The Blade), which became a forum for the modernist movement in Denmark between 1917 and 1920. 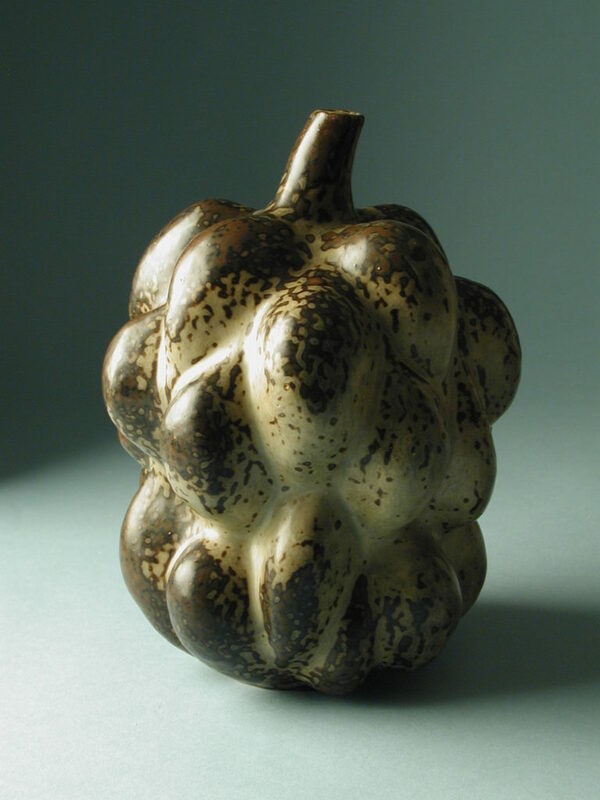 Salto eventually came to ceramics when the manufacturer Bing & Grøndahl requested his porcelain designs for the 1925 International Exhibition in Paris. 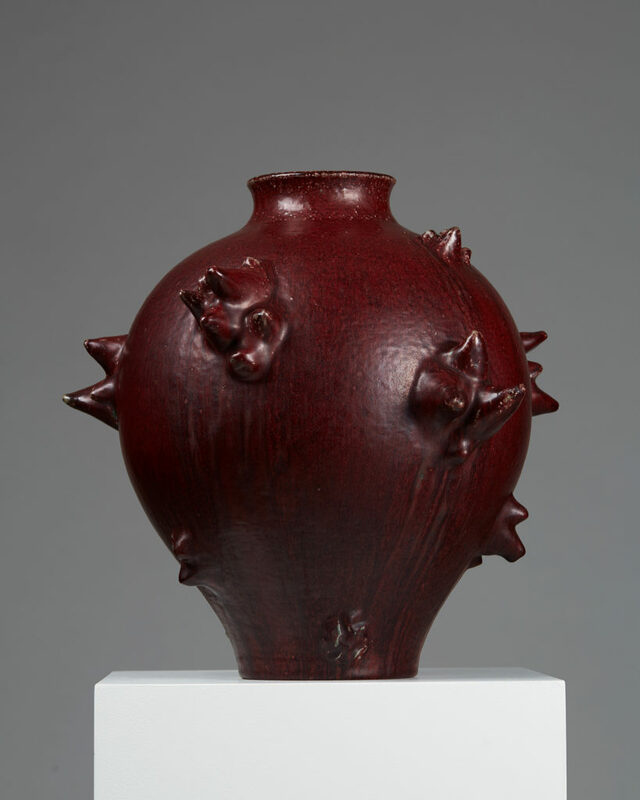 After these pieces had been enthusiastically received, Salto adopted ceramic art as his primary medium. 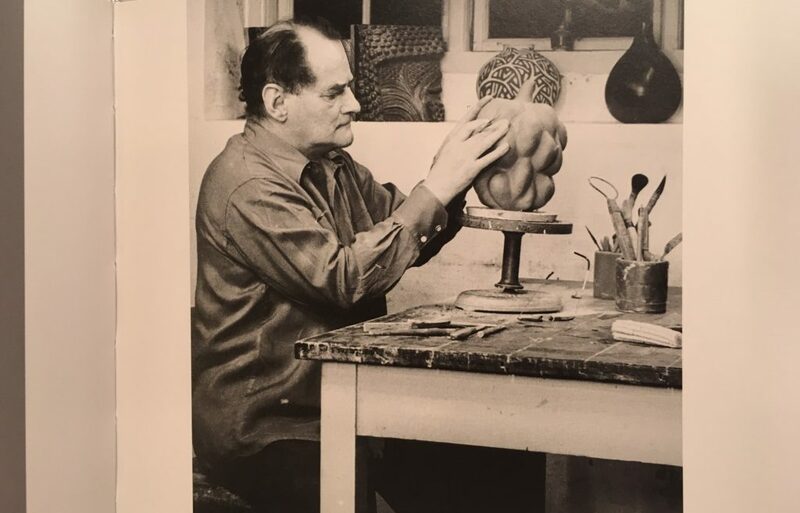 He first worked in collaboration with Carl Hallier at his Frederiksberg studio, then briefly at Saxbo ceramics, and finally at Royal Copenhagen, where he was a designer from 1933 until the 1950s. 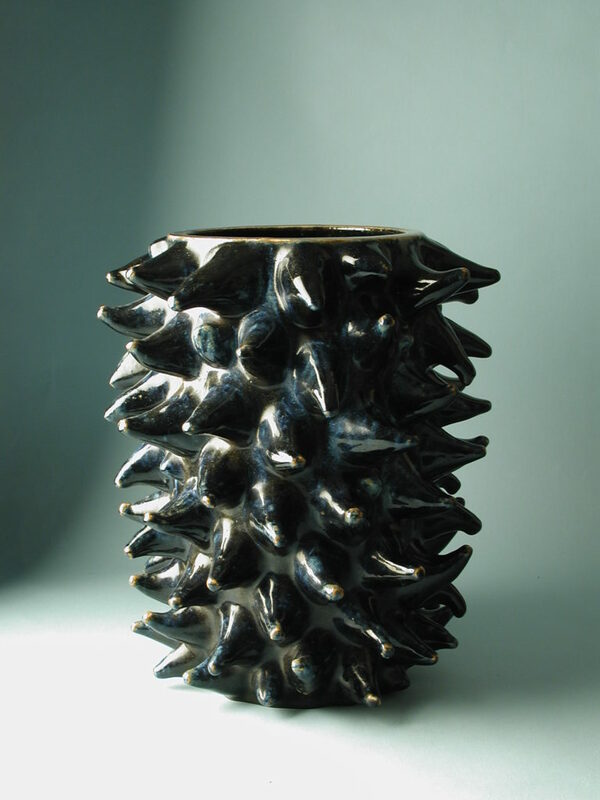 Salto’s ceramic work minimises conventional divides between decorative and fine art with an unparalleled approach to surface textures. 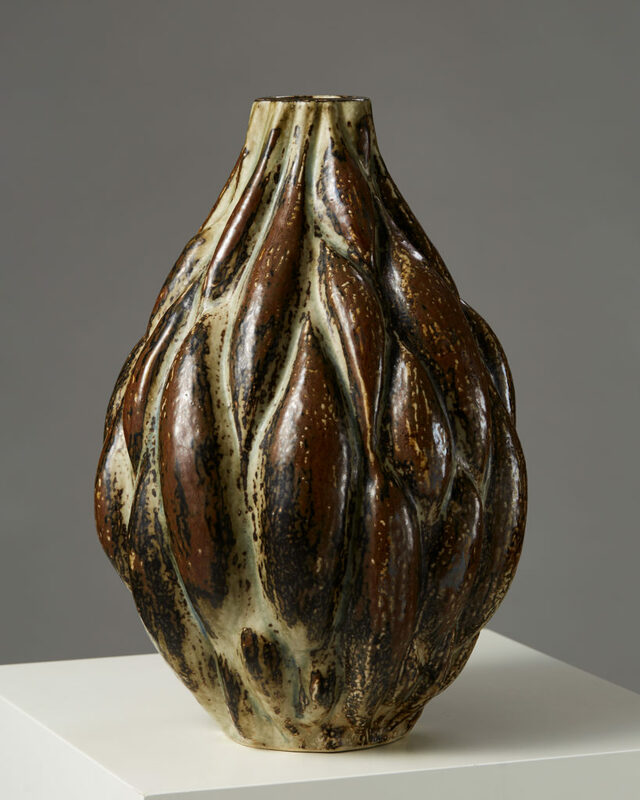 His pieces are generally of three types: fluted, budding and sprouting. 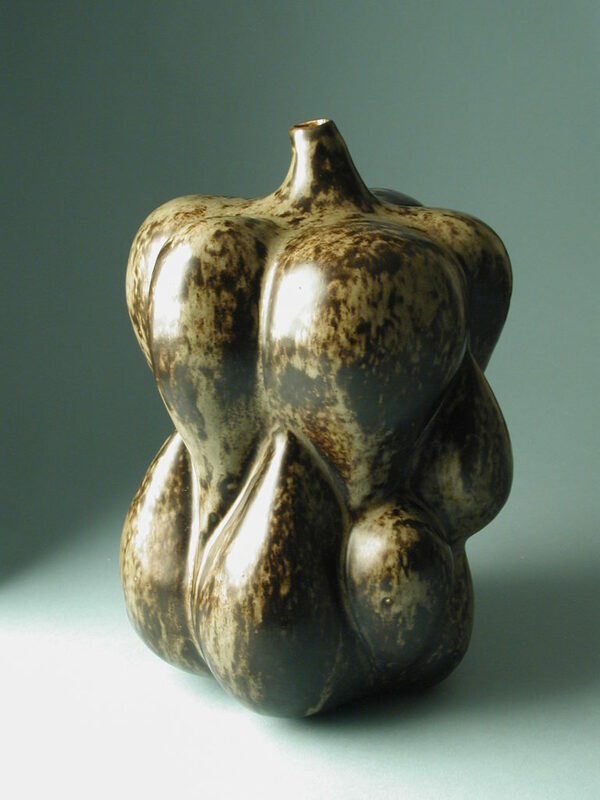 He combined strikingly organic and almost biomorphic silhouettes with rich glazes - thereby blending notions of form and function and pushing the boundaries of early 20th century ceramic art. His famous green-yellow ‘solfatara glaze’ was developed at Royal Copenhagen and is named after a sulphurous Italian volcano. 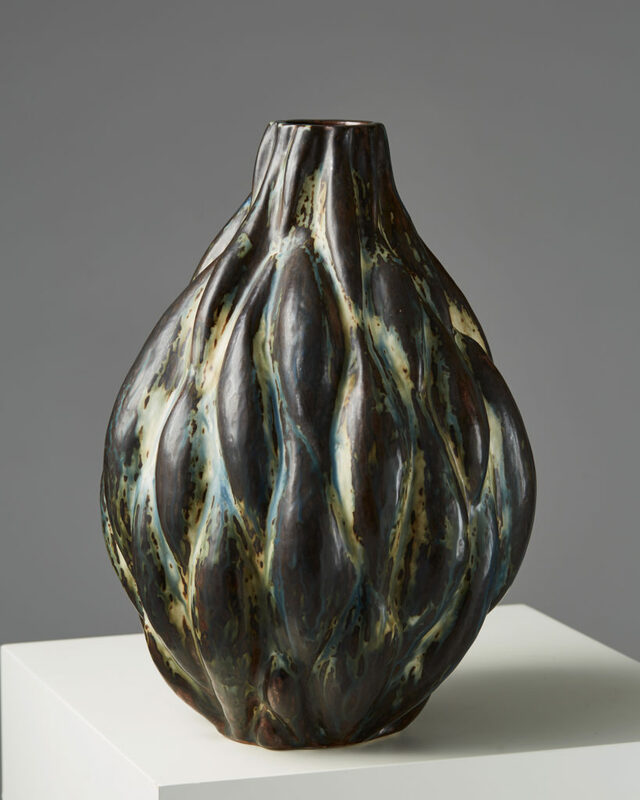 The concentrated glaze created surprising variations in colour. 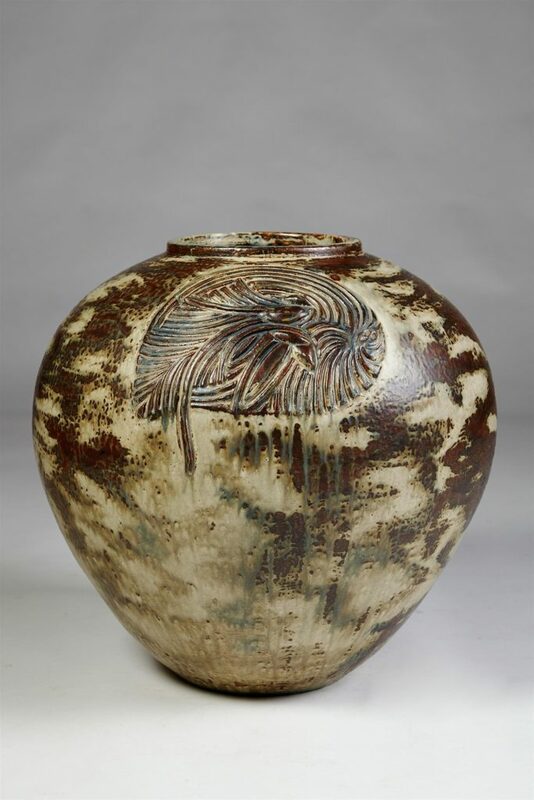 Recent years have seen an immense increase in demand for the master’s ceramic pieces - both at international auctions and in private market sales. 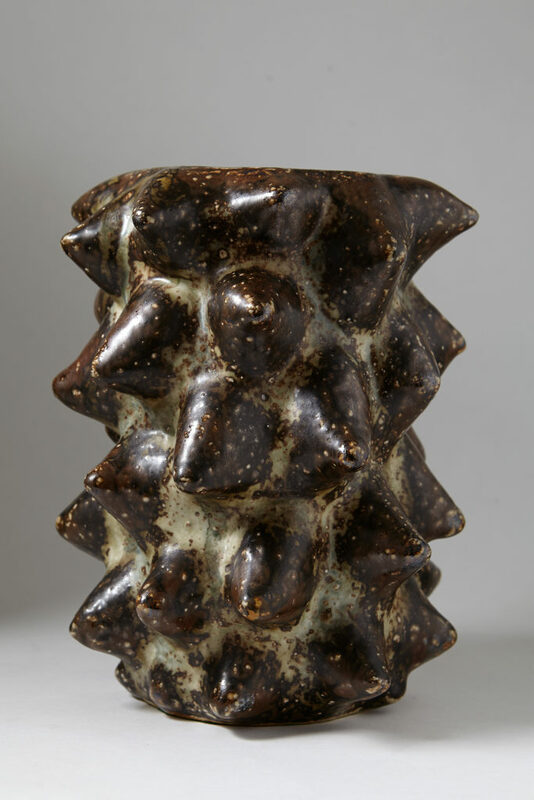 His legacy as a Scandinavian modernist and an influential 20th century artist has made his pieces treasures in the world of ceramic art collection.